EVGENI TOMOV is an esteemed Production Designer, Conceptual Artist and Illustrator specializing in feature animated films, animated TV series and shorts..
Born in the former Soviet Union, Tomov studied at the Nikolai Pavlovitch University of Fine Arts in Sofia, Bulgaria from which he received a master's degree in Fine Arts and Illustration in 1986. In 1990, Tomov moved to Montreal, Canada, where he worked as an Art Director and Illustrator for various Advertising Agencies, working on accounts such as Royal Bank of Canada, L'Orchestre Symphonique de Montreal (OSM) and Lotto Quebec. In Montreal, his interest focused on the world of animation and he began work on numerous children's TV series for the Canadian studio CINAR Animation. Engaged as an Environment Design Supervisor for CINAR, he developed the seriesAnimal Crackers and Mona the Vampire. In 1997 his work on the animated short The Old Lady and the Pigeons saw his first collaboration on an Oscar® nominated film. While living and working in Montreal, Tomov's pursuit in art direction fanned out to encompass projects in computer games as well. 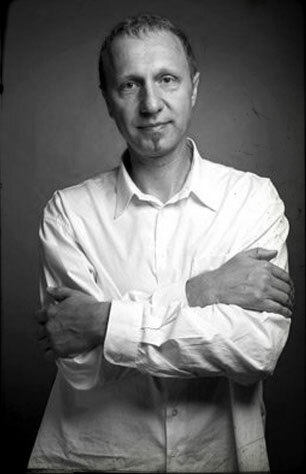 From 1999 to 2002, Tomov worked as the Art Director and Production Designer on the critically acclaimed animated feature film The Triplets of Belleville. The film was an Official Selection at the Cannes Film Festival in 2003, and received acclaim at numerous other film festivals. Nominations and awards included an Oscar® nomination for Best Animated Feature. Following the completion of Triplets of Belleville, Tomov again collaborated with Director Sylvain Chomet in Scotland as Production Designer and Art Director for Chomet's newly established Studio Django, working on the development of a number of projects including the 2D-animated feature The Illusionist, for Pathé Pictures International. The film was also nominated for an Oscar® in 2011. From 2006 to the end of 2008, Tomov has worked in London, England as Production Designer on the CG-animated feature The Tale of Despereaux, for Universal Pictures. From 2009 to 2011 he worked in Brisol, UK and Los Angeles, US as a Production Designer on the CG-animated feature Arthur Christmas, an Aardman Animations and Sony Entertainment co-production. Following this he worked as a visual development artist and concept designer for Dreamworks Animation in Glendale, California. Currently he is involved in the development of various exciting projects in Los Angeles, US.